Polyester webbing stretches less than nylon and polypropylene, making polyester webbing ideal for ratchet straps. Its excellent recovery properties help a load absorb impact without strap breakage. We use this heavy duty webbing with 2 inch heavy duty ratchets and hooks to make strong tie down ratchet straps. Tie down webbing that resists abrasion is extremely important in securing your load. Even minor webbing damage can significantly reduce the capacity of a tie down and increase the chance that the tie down will fail during use. 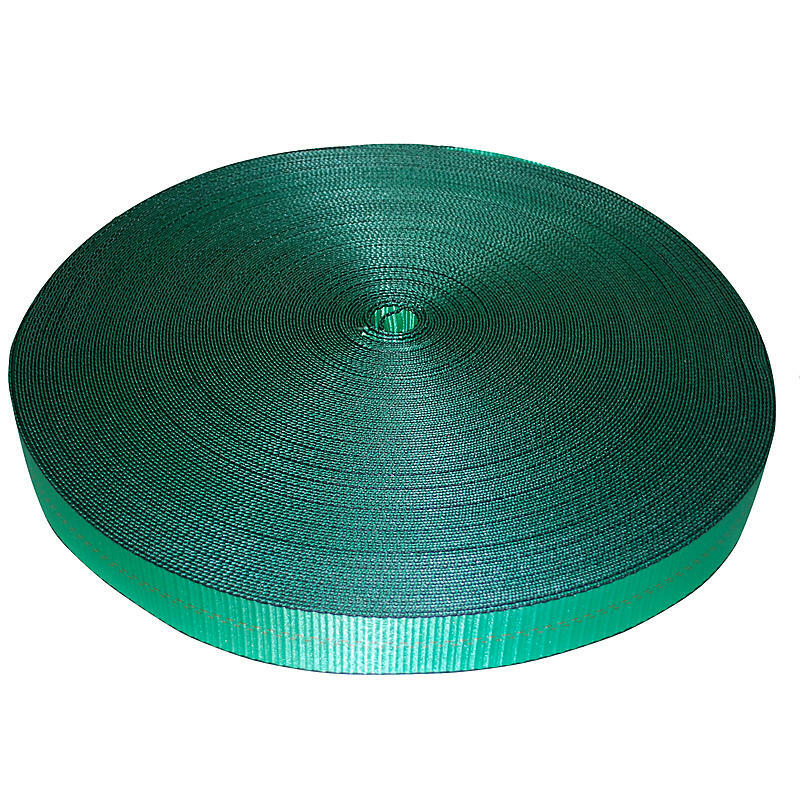 Polyester webbing is more resistant to abrasion than nylon or polypropylene. Its resistance against abrasion, UV rays, and water make it a better choice for tie-downs than other webbing materials.